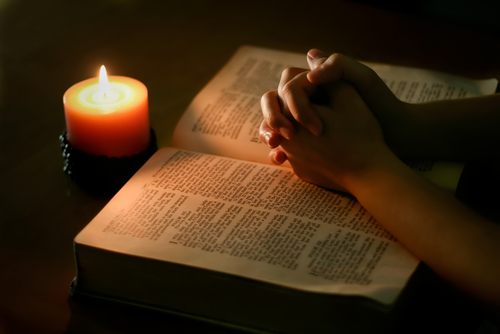 Prayers of the People II (BCP 385-386) | Read. Pray. Love. Daily. I ask your prayers for God’s people throughout the world; for our Bishop(s); for this gathering; and for all ministers and people. Pray for the Church. I ask your prayers for peace; for goodwill among nations; and for the well-being of all people. Pray for justice and peace. I ask your prayers for the poor, the sick, the hungry, the oppressed, and those in prison. Pray for those in any need or trouble. I ask your prayers for all who seek God, or a deeper knowledge of him. Pray that they may find and be found by him. I ask your prayers for the families of the departed [especially _____________]. Pray for the families of who have died. I ask your prayers for ____________________. I ask your thanksgiving for ________________. [especially ______________ whom we remember today]. Pray that we may have grace to glorify Christ in our own day.